Maleficent, Sykes, Jafar and Frollo. These are my favourite Disney villains of all time. Who's your favourite Disney villain out of them?. HD Wallpaper and background images in the cattivi Disney club. These are my favourite Disney villains of all time. 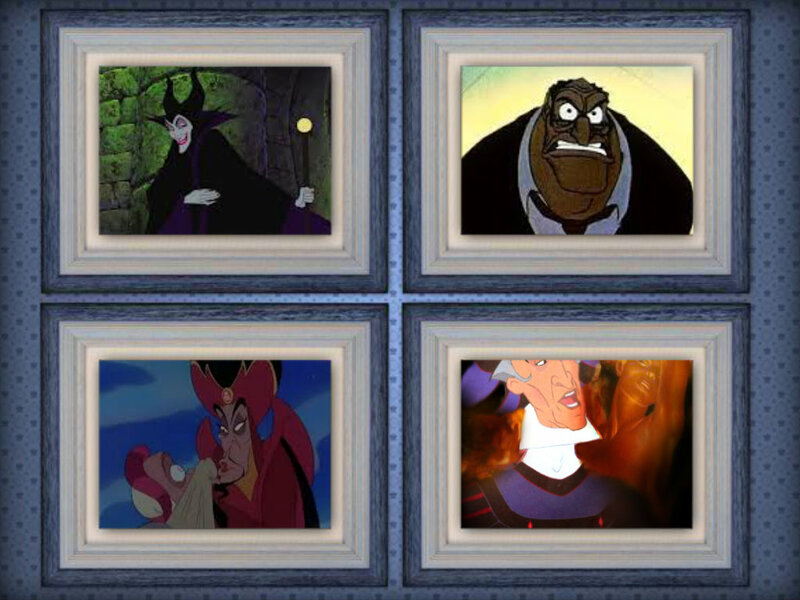 Who's your favourite Disney villain out of them? This cattivi Disney fan art might contain finestra con vetro temperato, finestra di vetro macchiata, salotto, soggiorno, salotto, camera anteriore, salone, and sala.